The historic feel of Hawthorn Woods is preserved with many estates on one acre lots. Parks and forests, community centers, and historic architecture all combine to form a warm neighborly atmosphere in this village northwest of downtown Chicago. Almost 8,000 residents live in the village of Hawthorn Woods. At Garage Doors Hawthorn Woods, we are committed to serving the community of Hawthorn Woods. Garage Doors Hawthorn Woods has a team of professional door experts that are knowledgeable about garage doors and garage door openers in Hawthorn Woods. Hawthorn Woods Garage Door Openers can be a variety of brands and types. The trained professionals at Hawthorn Woods are highly knowledgeable about all opener brands and the three opener types. Each of these quality opener brands creates models in the three opener types. Our professionals can help you find the right garage door openers in Hawthorn Woods for your situation. Using an electric motor to move chains that pull up a door along rails on either side of the door, chain drive garage door openers are sturdy and durable. The hefty chains are excellent at lifting heavy garage doors. However, they can be really noisy. 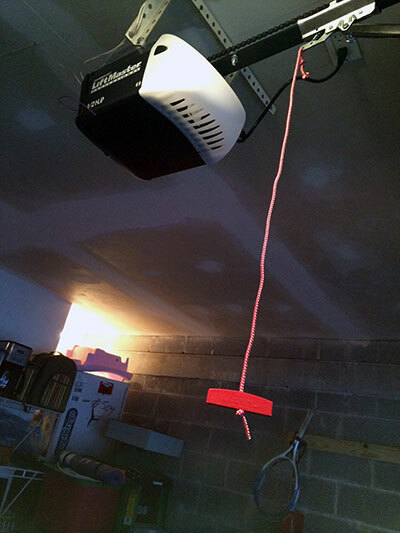 Belt drive garage door openers were developed to dampen the noise level of chain drive systems. This is especially helpful when the garage is located right next to or below a bedroom where people are trying to sleep. The belt drive models simply replace the chains in a chain drive mechanism to dampen the sound. Screw drive garage door openers don't work like belt drive or chain drive lift mechanisms. A threaded steel rod is the lift method in a screw drive system. There are fewer moving parts, and less maintenance is required. At Garage Doors Hawthorn, we can assist you with repair, replacement, and installation of your Hawthorn Woods garage door openers. No matter what your garage door needs are, we can help you! Call us today to find out firsthand why we are head and shoulders above the competition. Our clear communication, friendly service, and high quality work has established our reputation as the best garage door repair service in Hawthorn Woods.